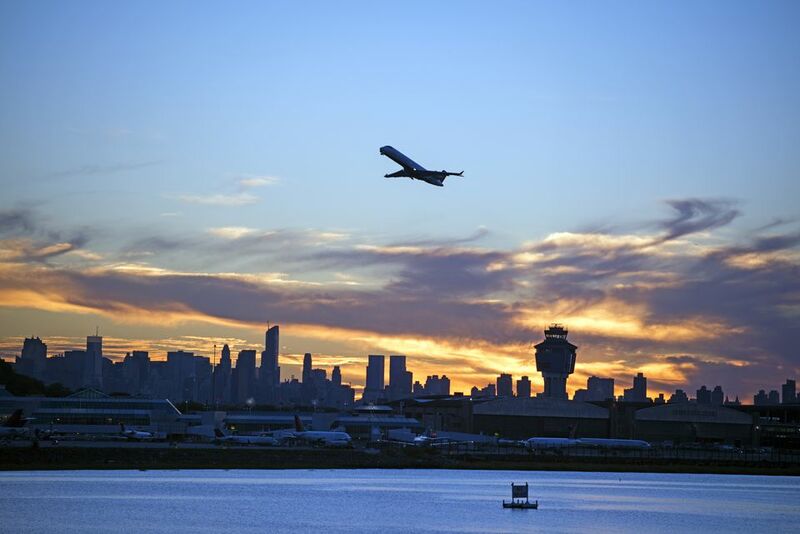 Located on Flushing and Bowery Bays in northern Queens, LaGuardia Airport is eight miles from midtown Manhattan and services New York City with dozens of domestic airlines traveling from all over the United States. Although not as large or as easily accessible as John F. Kennedy Airport, LaGuardia offers a relatively quieter travel experience and a variety of public and private transportation options for getting to and from the airport. From buses and trains run by the Metropolitan Transportation Authority (MTA) to taxis, car services, rental cars, and private shuttles, there's no shortage of ways to get to and from LaGuardia on your trip to the City That Never Sleeps. While it might be a bit confusing for some first-time visitors to New York City, the MTA public transit system is one of the best in the world, offering a network of buses, trains, shuttles, and taxis to get tourists and residents around the city. In terms of public transit, you can take the M60 bus from all terminals at LaGuardia airport bus to 125th street in Manhattan, which allows for a free transfer to the 1, 2, 3, 4, 5, 6, A, C, and D subway trains. Alternatively, you could take one of several Q buses to the N, Q, and R or E and F lines in Queens. For other public transit options, including suburban areas and the five boroughs, consult LGA Transportation Options or the MTA's Airport Service information. Bus and subway fare as of May 2018 is $2.75 per trip. You can also opt to hire a New York City yellow cab, also known as a taxi, or pre-arrange for a private car service to pick you up at the airport. For yellow cabs at the airport, you can exit the terminal on the arrivals level and look for the taxi kiosk, where you can line up to be put in a cab. Lyft, Uber, and Juno apps also connect riders with drivers within minutes, so you could call a cab once you've got your luggage from the carousel. Private cars and taxis are likely more expensive than ridesharing apps, and you should familiarize yourself with the TLC Fare Guide and the Taxi Rider's Bill of Rights if you plan to use the former options. Additionally, several companies offer private shuttle services to and from Manhattan. Go Airlink NYC offers shared transfers from LGA 24 hours a day while NYC Airporter is the official bus service of the NYC area's three airports. With NYC Airporter, you can access service between Grand Central, Port Authority or Penn Station and LGA, JFK, and Newark Airports. Super Shuttle is another great option, especially since you don't need to book reservations in advance to take the Super Shuttle from the airport. However, you can book a reservation online and the super shuttle will pick you up anywhere in New York City and take you to LaGuardia for a flat fee. If you'd rather be the driver of your own journey, you could also rent a car when you arrive in New York City, though it's generally ill-advised to drive in the city if you've never driven in tight spaces or huge metropolitan areas; plus, parking can be quite difficult to find or extremely expensive wherever you go in the city. If you do decide to rent a car, though, there are several rental car companies serving LGA that offer free shuttles from the airport to the parking lot. Once you've selected a car and have your keys, it's about a 30-minute drive (following these directions) to Manhattan from the airport. If you need to park your car at LGA, there are also several options. Short-term parking is available if you're picking up or dropping off at the airport, and long-term parking is available if you're leaving your car overnight or longer. If you want to save money, compare rates for on-site and off-site airport parking options at LGA before you go. Worried about missing your early morning flight? It might be easier to book a hotel near the airport for those situations or in case your flight gets canceled, and fortunately, LaGuardia is near some of the best airport hotels in NYC.